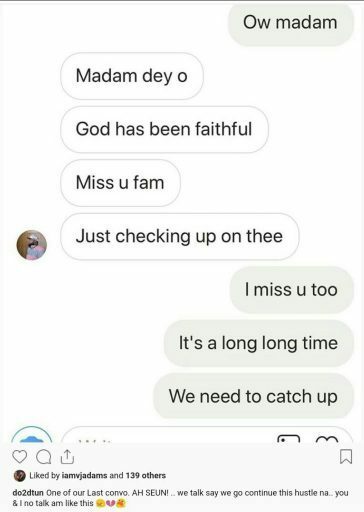 Media personality, Dotun has shared his last chat with DJ XGee who committed suicide yesterday by drinking sniper. According to Dotun, their last discussion was about how they were going to continue hustling. “Okay there is a twist to this last respect ppl give to their loved ones when gone. Black as signs of sadness ..but in my case please Rock WHITE Cos i love this colour so much. To all have made smiled and to those i have pissed off trust me im only being Human. Enikorewa i love u so much , Eriayo u name sums it all up u are truly d reason for my Joy.